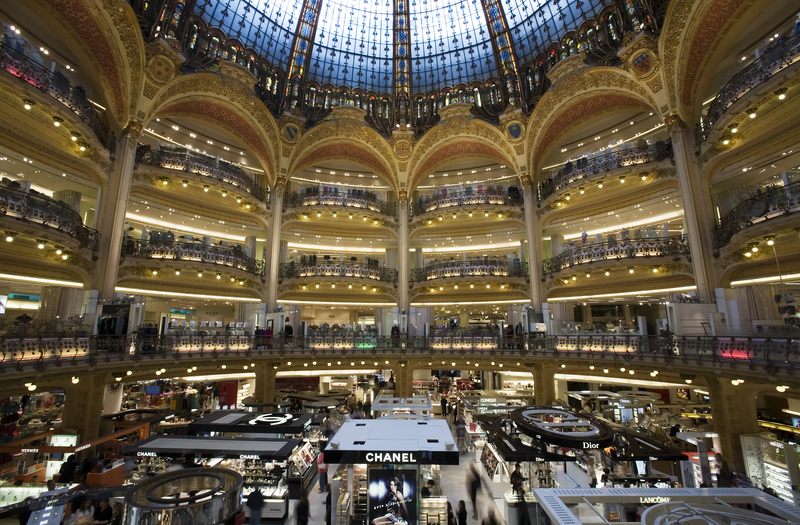 Galeries Lafayette Paris Haussmann offers duty-free shopping in the midst of distinctive 20th-century architecture. Look up when you enter to see the colorful stained-glass dome in the center of the ten-story ceiling. 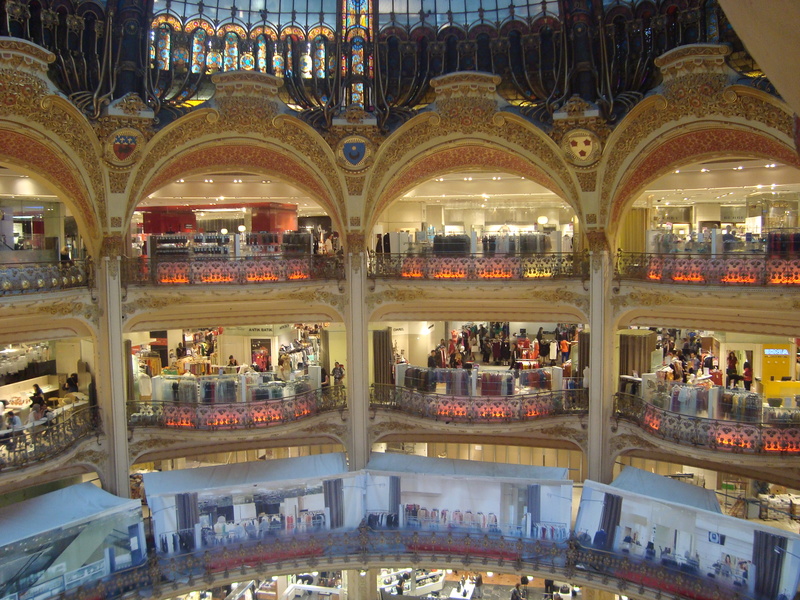 Climb one of the Art Nouveau staircases to reach any of the store's ten levels, with women's and men's clothing, home goods, and a multi-level gourmet food court. 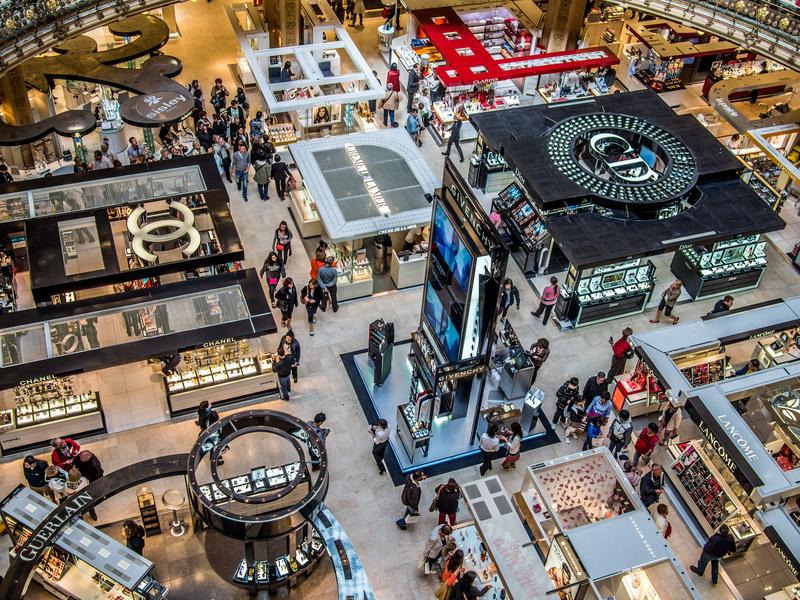 Before you leave, go up to the rooftop terrace along the Boulevard Haussmann for a great view of Paris. 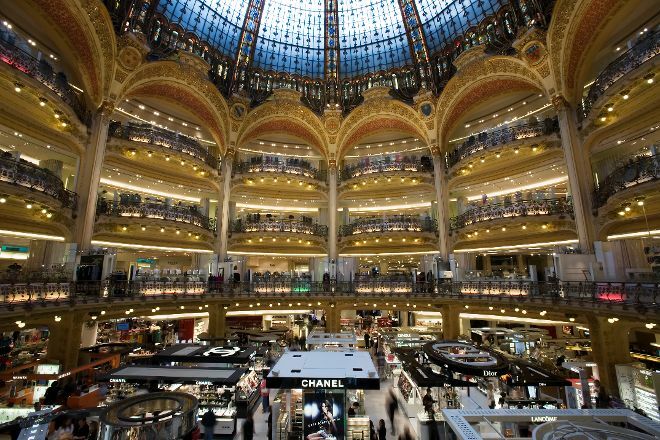 Plan to visit Galeries Lafayette Paris Haussmann during your Paris vacation using our convenient Paris day trip planning app .